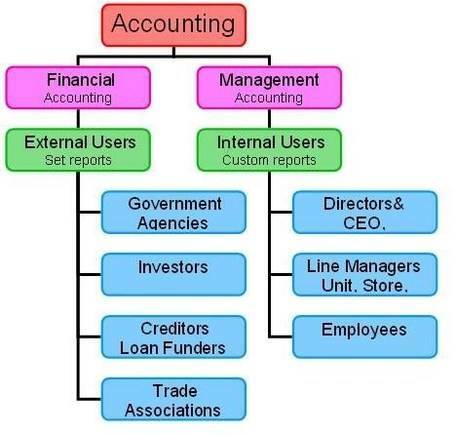 Financial Accounts: geared toward external users of accounting information. Management Accounts: aimed more at internal users of accounting information. Although there is a difference in the type of information presented in financial and management accounts, the underlying objective is the same – to satisfy the information needs of the user. Financial accounts describe the performance of a business over a specific period and the state of affairs at the end of that period. The specific period is often referred to as the “Trading Period” and is usually one year long. The period-end date as the “Balance Sheet Date” Management accounts are used to help management record, plan and control the activities of a business and to assist in the decision-making process. They can be prepared for any period (for example, many retailers prepare daily management information on sales, margins and stock levels). Companies that are incorporated under the Companies Act 1989 are required by law to prepare and publish financial accounts. The level of detail required in these accounts reflects the size of the business with smaller companies being required to prepare only brief accounts. There is no legal requirement to prepare management accounts, although few (if any) well-run businesses can survive without them. There is no pre-determined format for management accounts. They can be as detailed or brief as management wish. By definition, financial accounts present a historic perspective on the financial performance of the business Management accounts largely focus on analysing historical performance. However, they also usually include some forward-looking elements – e.g. a sales budget; cash-flow forecast.